The confirmation that Sinead is fine came from a representative for the star, who posted a message on Facebook telling all her fans that the star is doing well because she is in the company of her loved ones. “Hi everybody, I am posting at Sinead’s request, to let everyone who loves her know she is safe, and she is not suicidal,” the statement shared on Facebook said. “She is surrounded by love and receiving the best of care. She asked for this to be posted knowing you are concerned for her. I won’t respond to any questions, so please understand. I hope this comforts those of you were concerned,” the same statement added. The statement mentioned nothing about a potential hospitalization. However, a report from Radar Online revealed that Sinead has been undergoing treatment at the hospital. 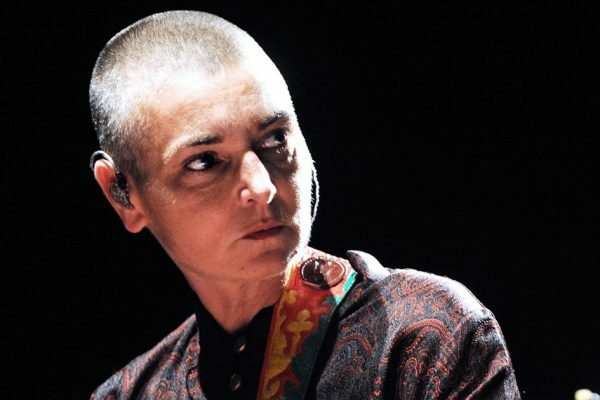 The report said that some employees from the motel where Sinead recorded her suicidal video claimed that they heard two men who were accompanying the famous singer talking about their intentions of taking her to a psychiatric facility for evaluation. The suicidal video was shared by Sinead on Facebook, claiming that she had been living at this motel alone. She started crying in the video and began talking about her mental illness. “Mental illness, it’s like drugs, it doesn’t give a s**t who you are, and equally what’s worse, it’s the stigma, it doesn’t give a s**t who you are,” she said in the video while crying. “And suddenly all the people that are supposed to be loving you and taking care of you are treating you like s**t,” the star went on to add. This is not the first time when concerns are raised on the health of the popular singer. Hopefully, Sinead will be getting the proper medical care and will be overcoming her issues. According to the latest rumors, Jennifer Lopez and Alex Rodriguez are planning a wedding in the near future. The rumors are saying that the two famous stars are going to hold a big wedding ceremony, and actually this event is going to impress everyone. The new report was shared by Naughty Gossip and indicated that Jennifer and Alex have been talking about planning their wedding. The report said that the two stars are very much in love, so there is no wonder that they are thinking about getting married. However, the wedding is not going to be a secret or low profile event, it is going to be a big celebrity wedding. “Jennifer has been married three times and never had the over-the-top wedding of her dreams,” some insiders said according to the celebrity site. “With ARod she is planning to have the biggest celebrity wedding of all time and is talking about having ceremonies in New York, Miami and Los Angeles,” the same sources claimed. The report also said that Alex is onboard with this because he likes a lot the media attention. “Alex enjoys the spotlight as much as she does and this will be the closest thing to a Royal wedding that America has ever seen. When all is good and done the couple could have spent over $10 million saying ‘I Do,’ ” one insider concluded. Jennifer Lopez and Alex Rodriguez have been a couple for a few months. Before they started dating, Jennifer was linked to a lot of famous men, including Drake. She was previously married to famous singer Marc Anthony, the father of her children. The new wedding rumors have not been addressed, so there is no word from Jennifer or Alex on the claims. Moreover, Jennifer seems to be very much focused on her career now, as the star has been working on some new music. She shared a photo on social media showing herself at the recording studio, so we can surely say that the beautiful singer has been spending some time in the studio. Liam Hemsworth and Miley Cyrus Secretly Wedded? Some new rumors claimed that Liam Hemsworth and Miley Cyrus might have wedded. The rumors are claiming that the two stars had a secret wedding ceremony and are now a married couple. The secret wedding rumors were first reported by TMZ. So, the rumors started when Liam was spotted with what appeared to be a suspicious wedding band on his left finger. The popular actor was spotted with the new piece of jewelry on his hand during the weekend. TMZ obtained some photos of the star which show Liam with the jewelry that really seemed to be a wedding band. However, this is not the only curious thing that happened during the weekend. At the same time, Liam’s older brother, Chris Hemsworth, was spotted in the company of Miley’s mom, Trish. Apparently, the two were hanging out at Trish’s home in eastern Kentucky. Of course, there is no official confirmation for the moment from the famous couple. And the rumors might actually be untrue, as some source claimed that the whole story was 100% fake. These sources said that Liam and Miley are not married yet. However, even though this report might not be confirmed in the end, we can surely say that this is not the first time when it has been claimed that Liam and Miley are planning their wedding. In fact, ever since they announced their reconciliation at the beginning of last year, Liam and Miley have been constantly linked to wedding rumors. And the thing is that it surely seems that the relationship is going great. Miley has allegedly become more responsible because of her relationship with Liam and has left her wild partying days behind. A series of previous reports have been linked to this, some actually saying that Liam has changed Miley so much that her friends and family worried that she was no longer true to herself. Well, regardless of the moment when a marriage will be confirmed, it definitely seems that at one point this might happen. Selena Gomez decided to talk about the time she spent in rehab. The famous singer seems to be in a good place now, Selena actually being very focused on her health and wellbeing. The young singer revealed that spending time in rehab has not been simple, and she was actually scared. Selena underwent rehab treatment last year. She actually took a three months break from her career to focus on her health. Selena talked about this experience during a new interview with InStyle. Selena said that she took the time off to deal with the side effects of lupus, including anxiety or depression. “It’s so weird, how one year can change everything,” Selena started saying. “Last year I canceled my tour and went away for 90 days, and it was the best thing that I ever could’ve done. I had no phone, nothing, and I was scared. But it was amazing, and I learned a lot,” she went on to add. Selena also talked about her first public appearance following her time out. “When I came out, I was asked to go to the American Music Awards, and everyone around me was like, ‘Do whatever makes you comfortable.’ I didn’t want my fans to have a negative view of taking care of yourself, so I just went in head-on, and I’ll tell you, the first time stepping on that carpet was so overwhelming. I felt like my back was sweating,” she revealed. Selena also said that she started to be less influenced by the bad comments and criticism. “Of course I care, but I care less and less, and that’s so freeing,” she said. And Selena has a lot to be happy for. She also talked about her famous boyfriend, musician The Weeknd. “I’m lucky because he’s more of a best friend than anything else,” the famous singer said when referring to her boyfriend. Famous singer Justin Bieber has been very open in the past few days when it comes to his personal struggles. The popular star actually decided to open up about his decision to cancel his tour. This decision is in fact only one of the controversial moments involving Justin lately. Besides canceling his tour, Justin has also been criticised for hitting a paparazzo with his car, as well as for being banned from China. So, we can surely say that the young star has stayed a lot in the spotlight lately. As imagined, Justin did not attend a live interview to talk about his decision to cancel his tour, but in fact the star shared a long post on Instagram on the subject. “I’ve learned the more you appreciate your calling, the more you want to protect your calling,” Justin’s post said. “Me taking this time right now is me saying I want to be SUSTAINABLE … I want my career to be sustainable, but I also want my mind, heart, and soul to be sustainable. So that I can be the man I want to be, the husband I eventually want to be, and the father I want to be,” it added. The star did not give a lot of insights into what has been going on, but he decided to make a reference to his mistakes and troubles. “I have let my insecurities get the best of me at times, I let my broken relationships dictate the way I acted toward people and the way I treated them,” he explained in the post. “I let bitterness, jealousy and fear run my life.!!!! … What I’m not gonna do is be ashamed of my mistakes. I wanna be a man that learns from them and grows from them! !,” Justin concluded. 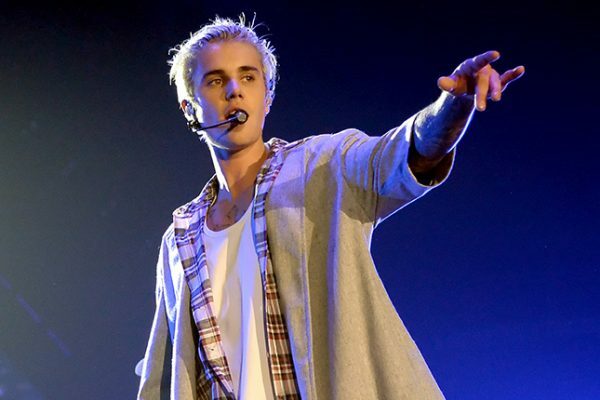 Justin Bieber decided to cancel his tour on July 24, when the official announcement was made by his tour promoter. The statement said that Justin was sorry to disappoint his fans, and that he was very thankful to the fans for the experiences he enjoyed during the tour. The tour contained no less than 150 shows across the world. 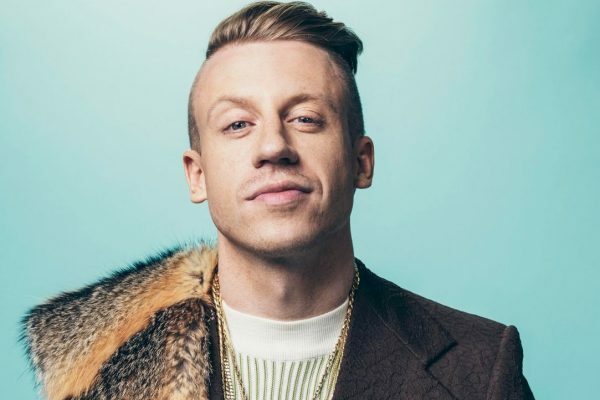 Famous rapper Macklemore has not been injured, although he was recently involved in a car accident. So, the musician’s fans can rest assured that he is doing well. The accident occurred on Friday, on Whidbey Island. The star, whose real name is Benjamin Haggerty, is fine and was unharmed in the head-on collision. TMZ reported that the musician’s vehicle was struck by another car at around 11 p.m. Macklemore was driving his Mercedes when the incident occurred. The other vehicle allegedly was to blame for the accident. The car, a 1986 Chevrolet pickup, crossed the center traffic line and slammed into the star’s vehicle. Macklemore was accompanied by two other people in the car. They were also fine following the accident, although one of the two passengers received treatment for a small cut. None of the passengers in Macklemore’s car required additional care, so they all left the scene of the accident. No further details were available for the moment. Game of Thrones Episodes and Scripts Leaked? Game of Thrones fans were definitely surprised with the latest developments of the famous television series. 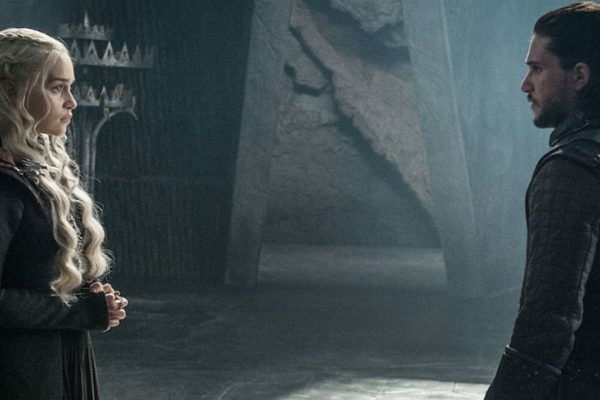 The first three episodes of the latest season of Game of Thrones were filled with surprises and maybe some were not what Daenerys Targaryen fans wanted or expected. Daenerys ended up with no allies, as they were all killed or captured. Of course, fans from all over the world are now curious to find out what will happen next. And they may be able to discover it sooner than what they imagined. It has been revealed that HBO has been the victim of a new hack, which involved leaking upcoming episodes and scripts of Game of Thrones. Entertainment Weekly reported that the hackers have by now shared online information about other HBO shows, including Ballers and Room 104. The hackers claimed that they will release more information, so some facts regarding Game of Thrones might become available. Naturally, this is a very bad thing for HBO, which is widely known for its struggle to keep the secret on what will happen next on the famous television series, which has become known for its surprising and unexpected evolutions. “HBO recently experienced a cyber-incident, which resulted in the compromise of proprietary information,” an official statement from HBO indicated. “We immediately began investigating the incident and are working with law enforcement and outside cybersecurity firms. Data protection is a top priority at HBO, and we take seriously our responsibility to protect the data we hold,” the same statement added. HBO has not officially released what type of data has been stolen by hackers, so it is yet to find out what hackers will expose. The leak was initially exposed through an anonymous email received by reporters. “Hi to all mankind. The greatest leak of cyber space era is happening. What’s its name? Oh I forget to tell. Its HBO and Game of Thrones……!!!!!! You are lucky to be the first pioneers to witness and download the leak. Enjoy it & spread the words. Whoever spreads well, we will have an interview with him. HBO is falling,” the email said. Game of Thrones is without a doubt one of the most successful television series at the moment. The show has no less than 10 million viewers. Apparently, the separation from Kanye West has not been simple for Amber Rose. It has been revealed that the star actually thought about committing suicide after things ended between her and the famous rapper. Amber Rose and Kanye West separated back in 2010. The two dated for about two years before ending their romance. Amber revealed that she had to endure “constant bullying” after the split. It is not a secret that since their separation Kanye and Amber have engaged in a feud on social media. They launched a series of accusations against each other and the whole situation has not been simple for the model. Amber talked about the split from Kanye during a recent interview on Everyday Struggle, for Complex. The star claimed that she was the one heartbroken. “I have been the one that has been heartbroken. I have never cheated on any of my boyfriends,” Amber explained. “I still have never said anything mean about Kanye. This is after six, seven years of constant bullying from him,” she added. Amber also claimed that Kanye’s album, My Beautiful Dark Twisted Fantasy, which was inspired by her, was actually another form of attacking her. “That is an extreme form of bullying as well, to have such a huge voice to put out an album, to say whatever the f**k you want. I had to just take that L. I had to take the heartbreak on top of it,” she explained. Amber also claimed that being Kanye’s muse was beautiful, but it was not that good for her. “It’s a great part of history and it’s a great part of hip-hop, and I’m happy to be a part of it, but during that time was not a great time for me,” she said. “I’m famous, and I’m broke. I can’t date anyone else. I can’t say anything on the internet because Kanye has such a voice,” Amber concluded. Then, the star made a shocking statement to reveal how bad things were for her. “If I was going to kill myself, I would have done it during those times.” Well, both Kanye and Amber have moved on from their relationship. 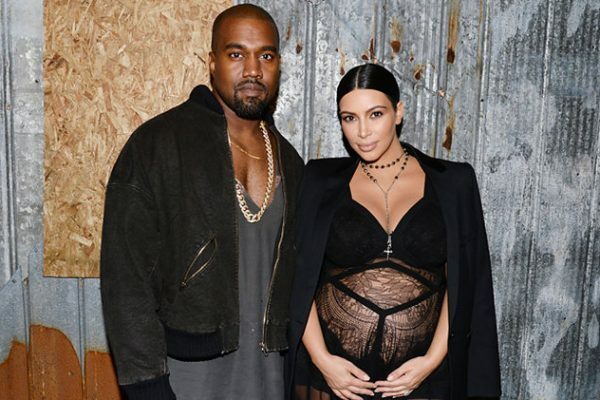 Kanye is now married to Kim Kardashian, but maybe the star will be dealing with some problems, as some new reports have claimed that the rapper has cheated on Kim and the pair may get divorced soon. Chester Bennington passed away last week. The famous Linkin Park musician decided to commit suicide and was found dead in his home in Los Angeles. Chester hanged himself. Following his death, a lot of people took to social media to express their shock and regret for what happened. Linkin Park band members also shared a series of messages, but no official statement. The official statement came only yesterday, when the band released a very emotional message. “Our hearts are broken. The shockwaves of grief and denial are still sweeping through our family as we come to grips with what has happened,” the official statement said. “You touched so many lives, maybe even more than you realised. In the past few days, we’ve seen an outpouring of love and support, both public and private, from around the world,” the statement added. The statement was actually written in the form of a letter addressed to Chester. “Your absence leaves a void that can never be filled—a boisterous, funny, ambitious, creative, kind, generous voice in the room is missing,” it said. “We’re trying to remind ourselves that the demons who took you away from us were always part of the deal. After all, it was the way you sang about those demons that made everyone fall in love with you in the first place. You fearlessly put them on display, and in doing so, brought us together and taught us to be more human. You had the biggest heart, and managed to wear it on your sleeve,” the emotional statement added. It is unclear what Linkin Park plans to do at this point, now that Chester is gone. This is something that the band also admitted in its statement. 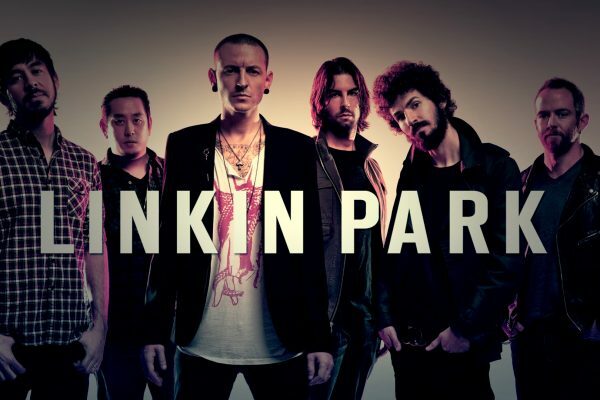 The statement said that Linkin Park did not know what will happen in the future. Meanwhile, the coroner’s office confirmed that Chester hanged himself and claimed that no drugs were found in his Los Angeles home. A half empty bottle of alcohol was found in the room where Chester’s body was discovered. There was no suicide note left behind by the star.